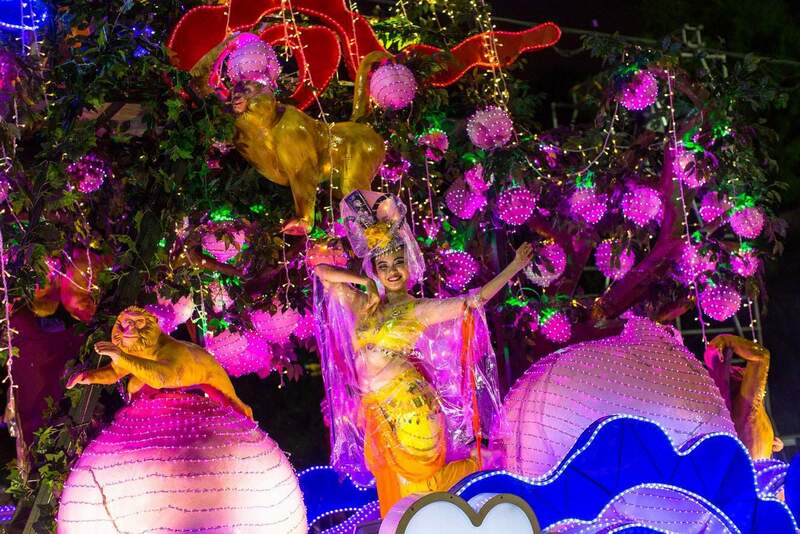 The Chingay Parade is without doubt one of the most important events in Singapore, and it’s when street floats, clowns, dancers, acrobats, jugglers and many other performers can be seen in celebration of the Chinese New Year. The origin of the parade is from China, where processions were made in honour of the Lunar New Year for two weeks in preparation for the arrival of the spring. The meaning of the name “Chingay” comes from its Hokkien dialect equivalent, which means “The Art of Costume and Masquerade”. 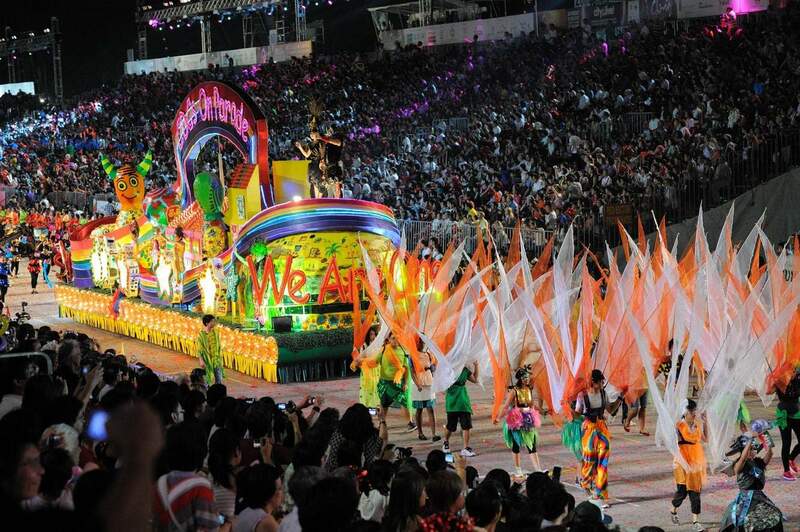 The first Chingay Parade in Singapore was held on February 1973, and it was so well received that it has traditionally continued until today. 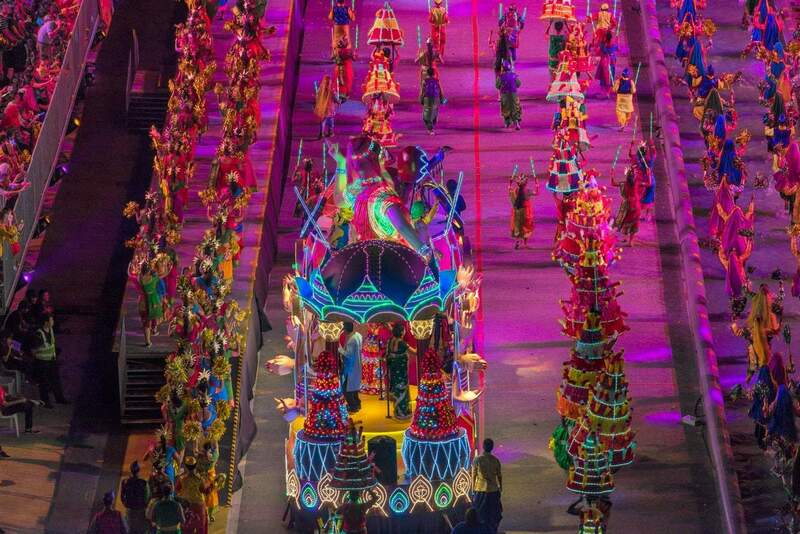 The celebration is incredibly popular; it is filled with colourful performances, intricate and interesting costumes, fabulous lights and people in every direction. One of the main highlights of this event is the unique street floats that are made with superb attention to detail. 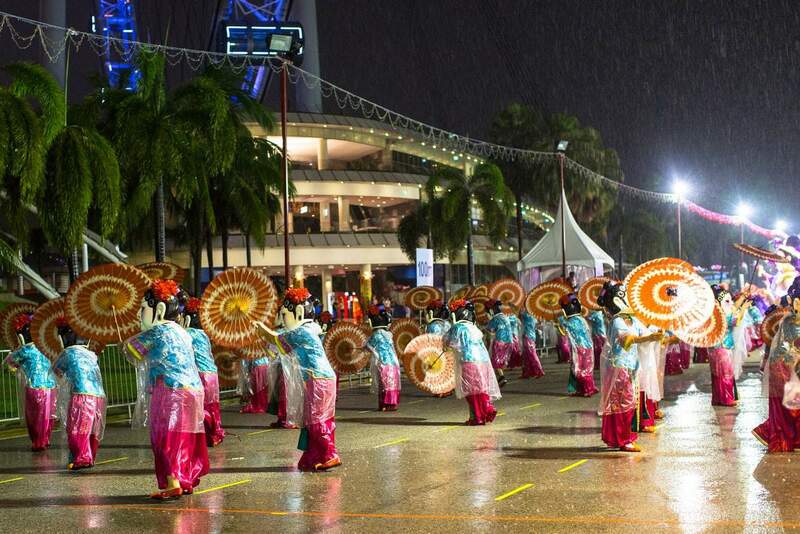 Many artists from Singapore and other countries are invited to perform during the event, and the multicultural flavour that can be seen and felt has turned the Chingay Parade into a very enjoyable experience for all visitors and Singaporeans alike. 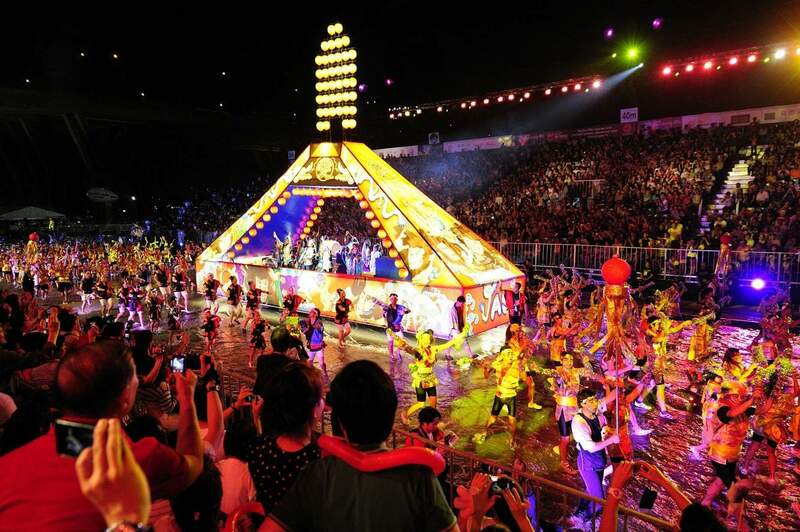 Each year, the festival hosts floats, dancing dragons, prancing lions, stilt walkers, wushu masters, performers of different races in their traditional costumes and much more! Tickets must be purchased for this event. To get to the festival, you will need to head down to the F1 Pit Building at the Marina Waterfront, where the festivities are being held. 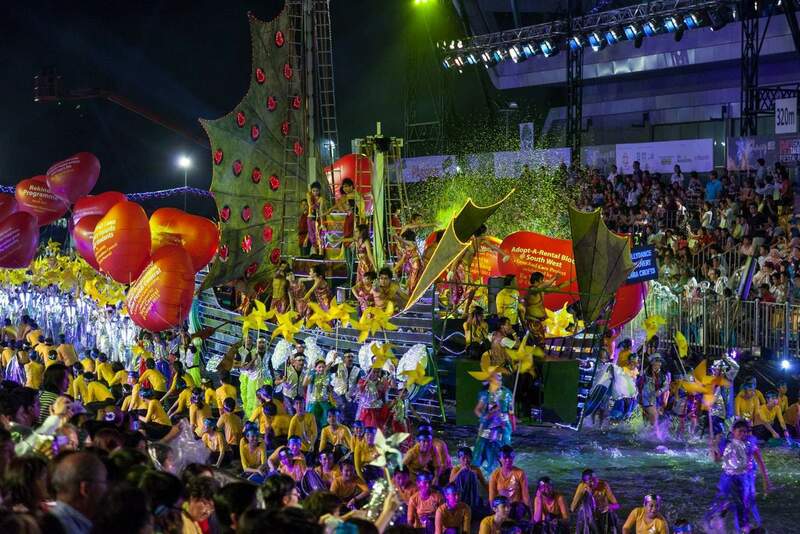 The main event can be expected to last two hours and is always a massive visual spectacle that includes hundreds of colourful parade floats, fireworks and multi-cultural performances. Can you tell is the different between parade 1 and 2. We are visiting Singapore from februar 13 to februar 20, 2019. What do you recomend is to see ?? And can we ordet tickets from your company ?? Unfortunately, the details for 2019 are pretty slim at this point, but looking at the parade back in 2018, there doesn’t appear to be much difference between the 2 nights – just that the Saturday night is more expensive. As we aren’t a ticketing/tour agency, so you aren’t able to buy anything through us (unless one of our partners offers the tickets), so it’s best to check back on the official website at a later date. As for what to see and do in Singapore, without knowing where you are staying, likes, ages, etc – it’s difficult to suggest what you should see while in the city. I would suggest reading through the list of attractions listed over here, but at least put aside some time to check out the Marina Bay area (The Merlion, Marina Bay Sands) and also 1-2 days out at Sentosa Island. When will tickets be available for 2019 Parade and how do you buy them? I have looked at the official website, and unfortunately there is really no information about ticket sales at this point. Looking at previous year’s events, they do appear to go on sale around mid-October and they are available to be purchased online. Hi, how to register as dance participant? How about accommodation? We’re a traditional dance group, who once were elected among 24 countries for the DancingJoyMovie this June. I have checked the official parade website and it mentions that for any enquiries regarding participation, please contact them at [email protected]. As for accommodation, there are is a lot of variables based on your budget, how many people, the amenities your require and the exact location you wish to stay. I suggest checking out Booking.com at this link, and comparing the different hotels. A lot allow you to book now and pay later, so you can lock in a cheaper price now before things start selling out and the prices increase. 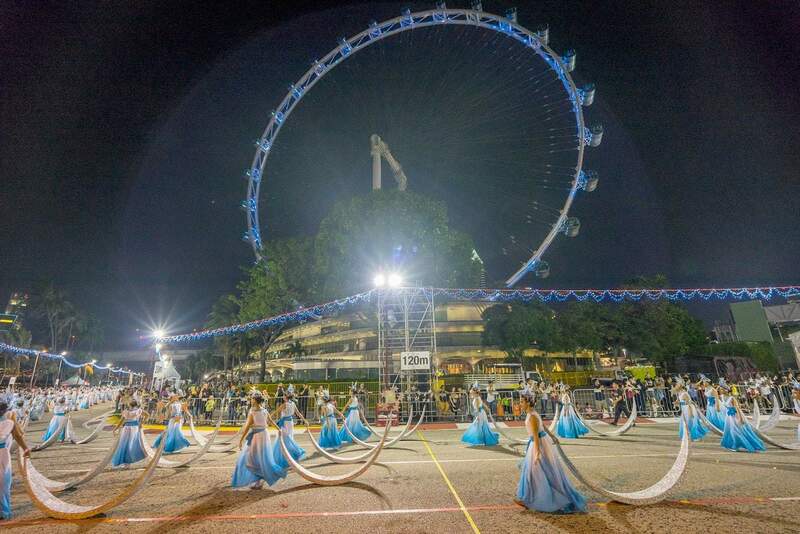 and now, any idea what the dates of the Chingay Parade for 2019 will be? I need to known quickly to reserve my flights. 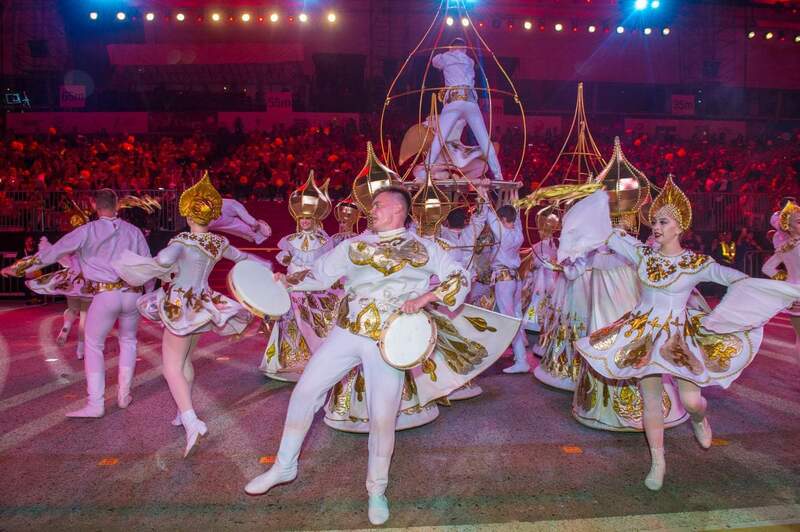 The Chingay Parade dates are yet to be confirmed by the organisers for 2019. Last year, it occurred 1 week after Chinese New Year. If the same principle is followed for 2019, it may be somewhere between 11-17 of February 2019. This is an estimate. Check back with us and we will confirm once the dates are announced. I need to kown so soon as possible, while I need to book my planes to N.Z. and back. Any idea what the dates of the Parade for 2019 will be? No, unfortunately I am not aware of the 2019 Chingay Parade dates as yet. Check back with us later in 2018 as I will update the page once the dates are announced. Hi.. We are travelling to Singapore to experience Chinese new year celebrations (16 Feb’18- 20 Feb’18). Could you please help me to know the best places to visit during this time. 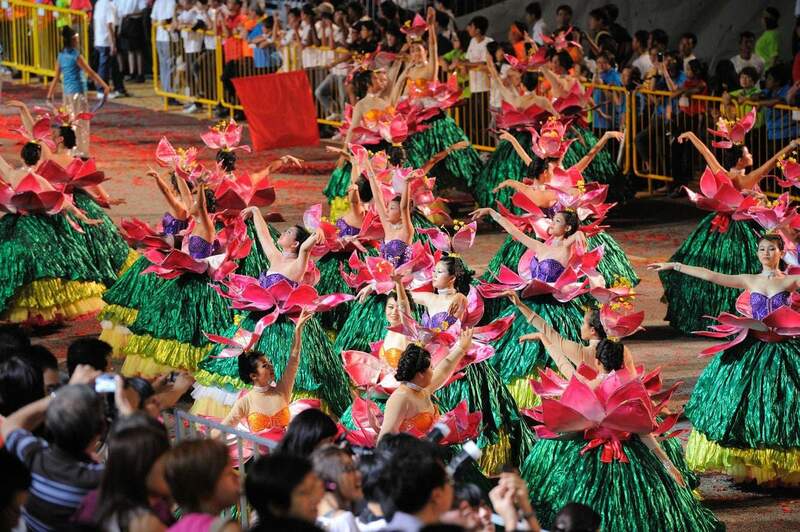 Where can I get the tickets for Chingay Parade? You can purchase tickets to the 2018 Chingay Parade here. 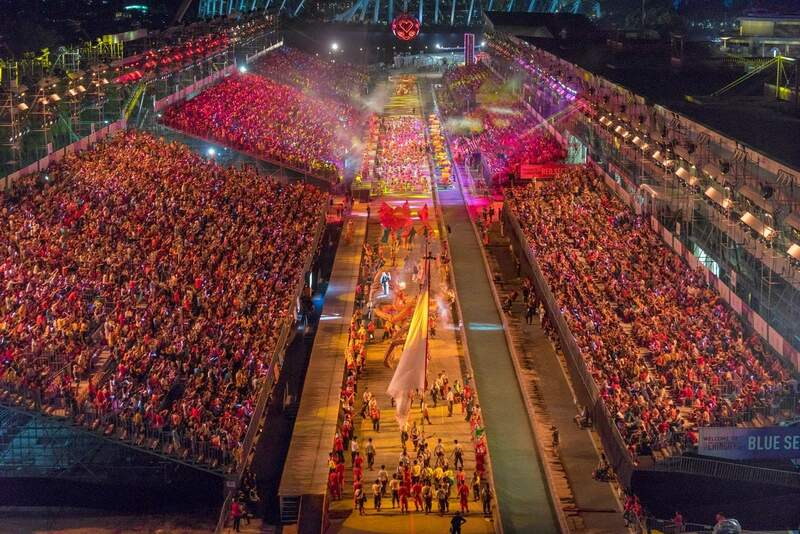 The best places to be are in and around Marina Bay, as most of the celebrations will occur around this area. Thanks Jess for the info. Looks like that I won’t be able to attend the Chingay Parade as I would be leaving Singapore on 20th Feb . However, what are major attractions (any parades) during the Chinese new year time -16th & 17th Feb 2018 in Singapore? Ticket sale date are yet to be released. In previous years, it has been in a about 2 months beforehand. Check back with us. I am travelling to Singapore on 10th Feb. Please let me know what is planned for ’12 February 2017 for Chinatown Fiesta’ so I can buy tickets and the location for the event. Refer here for further info and to buy tickets. Hello, We are coming to Singapore exactly on the 11th and wish to see the Parade. Could you please specify, what is the difference between the events on 10-11 February 2017 at F1 Pit Building and the Chinatown Fiesta on 12 February? Any details about the programme? And when it comes to tickets, what is Parade 1 vs Parade 2? How could we buy tickets online? No program as yet, however you can get more information about the Chingay Parade and purchase tickets for the 2017 festival here. When is the Chingay Parade in 2017? We will be in Singapore from Jan. 25 – Feb. 3. What Chinese New Year events would be available to us on these dates? 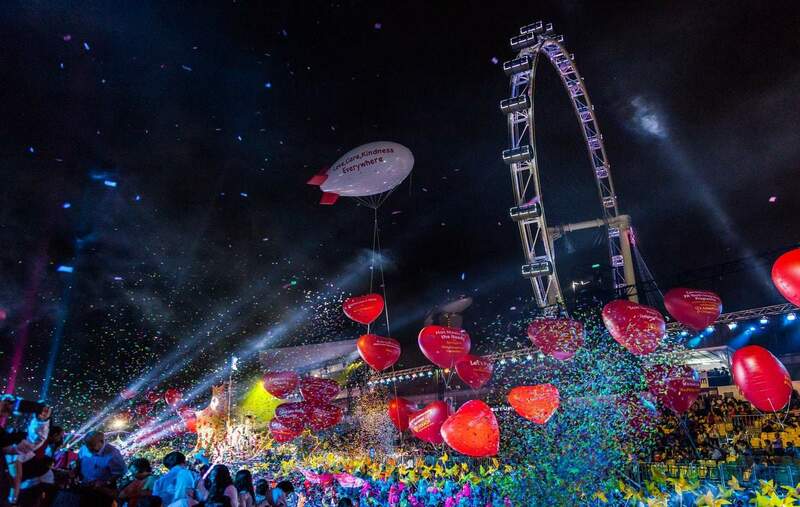 It looks like you will miss the Chingay Parade in Singapore as it is scheduled for 10-11 February 2017. You will be there however for the Chinese New Year celebrations with the main events running on 28-30 January. Head to Chinatown for the main events, there is no program as yet, but check back with us and I will update our site with new information as it comes to hand. Enjoy your stay in Singapore!